Agnelo has over two decades of diversified experience in Institutional sales, Product sales, Events & Exhibition and subsequently the service industry in totol - Agnelo's Facility Management experience has earned him the desired respect in the Facilities Management Industry. With an International experience of business expansion in the Sri Lankan & UAE market, he has brought back international processes and skill sets in the Indian FM Industry. Speaker representation appreciation, Facilities Management Awards for Performance Excellence in various Facility & Real estate summits. 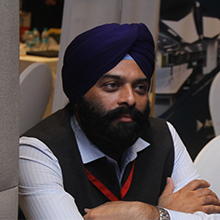 Agnelo’s strong networking skills has seen him rub shoulders with the captains of the industry and together forging an – ALLIANCE – for the growth of the FM industry in India. Combining all these forces, Agnelo has now taken up a new challenge to spearhead the cost management initiative from the other side of the table, by directing and ensuring cost controls with better management & service deliverable in his new venture @ AIR LIQUIDE. A different yet challenging perspective. Amit Pandey is a chemical engineer from HBTI, Kanpur with 21 years of learning experience in Automotive & Telecom Industry. Currently he is the Senior Vice President & head of Procurement, Supply Chain Management, Human Resource & Administration at Tikona Digital Networks Pvt. Ltd. & Tikona Infinet Ltd. 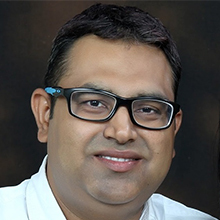 Prior to Tikona, he has worked with Maruti Udyog Ltd., Honda Cars India Ltd. & Bharti Airtel Ltd. His passion towards his profession has resulted into 92 awards in Procurement, Supply Chain, HR and Admin in last 4 years in India as well as abroad. A supply chain & human resource professional from core of his heart, a motivational speaker & a counselor, Someone who keeps charging humans & popularly known as “HUMAN CHARGER” amongst the students. Allroy’s domain knowledge is drawn from the wide spectrum of experience in managing independent operations with optimal utilization of resources with a rich experience in manufacturing, Infrastructure, Airports Telecom and defence. Allroy has about 30 years of experience in the fields of Security, HR & Facilities. Has been a speaker at the 2nd & 3rd Facilities Management conference at Delhi held by the CII, he is also a member of the IFMA India chapter. On the board of members for the International Facilities management India Chapter and a qualified Certified Facility Manger. He has to his credit of doing a course from MIT on "Aviation systems, process, designing and procedures". At present he is pursuing a course in Project & Facilities Management from the Royal Institute of Chartered Surveyors from Scotland. Capt. 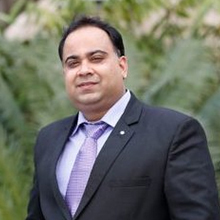 Rajesh Sharma is Vice President – Office services with Sapient, wherein he is respossible for leading their FM team globally, managing 45 offices in 22 countries. He o responsible for managing 2 million sqft area and a strong team of 200 colleagues. He started my carrier in the IT/ITES industry with Genpact in the year 2000. Has headed the FM functions at a Pan India level for various organizations including WNS Global Services, Sriram Group, JK Industries and Daewoo Motors to name a few. Captain Rajesh Sharma has also served with the Indian Army from 1989-1994. He is regularly invited to speak in various seminars organized by CII, NASSCOM and other FM forums. Col Amanpreet Singh Legha, Shaurya Chakra, is an accomplished professional with over 21 years of enriched experience in the Indian Army. He has later worked with a leading IT company for 8 years and close to two years with a leading media group - covering a wide spectrum of company operations so as to include - Purchase, General Administration, Facilities and Project Management. He is well accomplished Facility Manager with experience in Purchase operations ranging from Vendor identification, selection and engagement along with most appreciated management of the Administrative and Purchase spectrum entrusted. He has established a strong network with large number of organizations including Govt., Non-Govt., markets players and well-established contractors. Expertise in relationship management, customer care, utilizing resources, improving processes, increasing quality of services to customers and reducing cost. Has honed skills in ability to lead, manage & motivate a team. 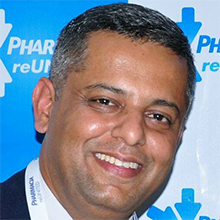 Dheeraj is currently working with INTERTEK as Head Procurement -South Asia (with additional responsibility of South East Asia). Previously worked with DCM, DABUR, PFIZER and ELI-LILLY. Dheeraj introduced 130 mtr rolls of BOPP SELF ADHESIVE TAPE to the industry. Negotiated Best Ever Deal with HDFC & MARUTI for financing of 200+ cars PAN India in 2004. 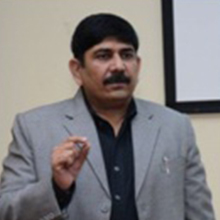 He is MBA with Specialisation in Business Operations, material mgt & International Business. Also Grad Diploma in PACKAGING TECHNOLOGY from Indian Institute of Packaging. 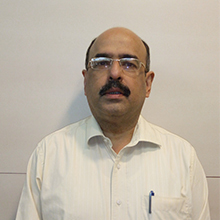 He is presently working as Vice President, New Business for Vatika Group. 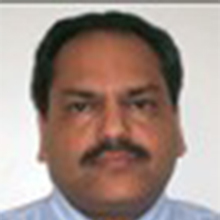 Ashutosh was Chairman, Property and Asset, Management, West Asia for Jones Lang LaSalle. 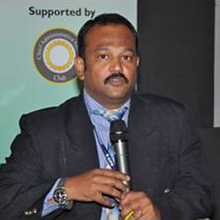 Ashutosh joined Chesterton Meghraj in 2000 as the Head of Facility Management with a couple of employees and a facility under management. He has been instrumental in growing the business which now encompasses management of over 200 sites feet spanning in 23 cities in India. 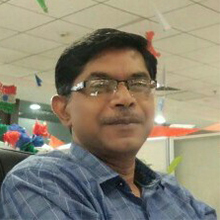 Prior to joining Chesterton Meghraj, Ashutosh was the Regional Manager for Sodexo Pass India, where he was In-charge of the Northern region. During his tenure of two and a half years,he increased the turnover by 7 times and stabilized the regions operations to assume the market leadership position. 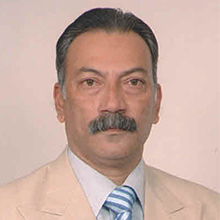 Ashutosh started his career with the Indian Army in 1973 and held various leadership positions related to command, staff and logistics. He took a voluntary retirement in 1994 and had a stint as an entrepreneur for around three years. Manak is currently working as VP—Administration for ASIA region with Excelity Global, a Human Capital Management company. He is a Hotel Management graduate, MBA, diploma in Management Development skills with over 22 years of experience in Hotel, Hospital and IT/ITES industry. Worked with Taj Group of Hotels across multiple location as Sous chef, Fortis Healthcare Ltd in support functions, Dell International services and Aon Hewitt as Director- Corporate Real Estate in IT/ ITES set up. Apart from managing facilities, Manak has completed numerous infrastructure projects ranging from 2 million USD-- 20 million USD across APAC region primarily in China, Singapore, Malaysia, Indonesia, Thailand and India and created more than 10,000 seats. Ramakrishna is . Assistant Vice President, Facilities & Administration with Apollo Munich Health Insurance Company Limited. It is a JV partnership company between Apollo Hospitals Group (Largest Healthcare Group in Asia) and Munich Re (Largest Reinsurer in the World), having 101 offices and over 2200 employees Pan India. He is a graduate from Osmania University and post graduate diploma holder from Bharatiya Vidya Bhavan. 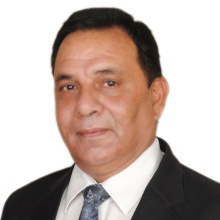 He has a working experience of over 28 years in various capacities in sales & marketing, operations, project management, customer servicing, and facilities management . Ricky is AVP Administration & Procurement at PeopleStrong HR Services. He has more than 15 years of experience in Administration with Top brands including JAQUAR, JSPL, HT (Fever 104) & India Today. He has selected, hired and prepared 100000 sqft office space till now. Expanded organizations footprints across nation aligned with company expansion plans .Relocated 500 employees + to this new office venue. 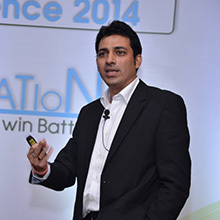 Ricky is a MBA from Manipal Sikkim University and a Graduate from Delhi University. 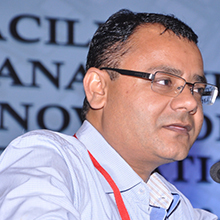 Sanjay is Vice President Administration with Interra Information Technologies (I) Pvt. Ltd. He is a Hotel Management graduate with over 25 years experience in handling general administration and facility management. He worked in Hotel & service Industry for 15 years before moving to Facilities and general administration. He has exhaustive exposure covering building management including new projects, renovation, housekeeping, catering, security, travel & transport, vendor development, liaison with state, central and private bodies. Expertise in executing activities pertaining to business development and training. Lead Assessor Training Course from International Quality Consultants(Australia) Limited, West Mills Yard, Kennet Road, Newbury, Berks, RG14 5LP, UK 1996. EARA Associates Environment Auditor Training Course from Confederation of India Industry (CII) & Regional Institute for Environmental Technology (RIET), Singapore 1996. Sanjoy has over 30 plus years in the Field of Real Estate, Facility Management and Commercial functions. 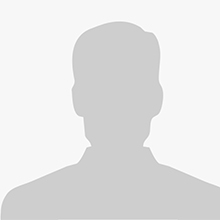 He started his career with DCM and in its affiliated Companies .Then Held Various positions in Orissa Synthetics (A JK Group Company), Cadence Design Systems (A US Software Company), Motorola India (Longest 14+ years). In his current capacity, Sanjoy heads the Real Estate and Project Portfolio for Aircel covering a 10 million of operational space and Instrumental in introducing Integrated Facility Management and Real Estate process now a ISO certified Process in AIRCEL. 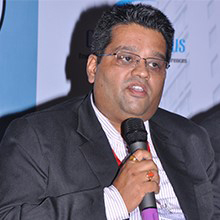 Santosh is National Head, Commercial & Admin with Magicbricks Realty Services Limited. 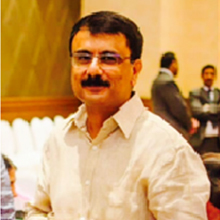 (A Times Group Company) With over 20 years of proficient experience in the Commercial & Admin, Santosh Upadhyay has handled a diverse range of portfolios spanning Hospitality, Procurement, EHS, Maintenance, Projects, Transportation, Travel, Legal, Compliance, Internal Audit, Facilities Management and Business Development. He holds Hotel Management degree and comes with very rich experience working for many leading global organizations including TOI, Samsung, Gati KWE, Reliance etc. 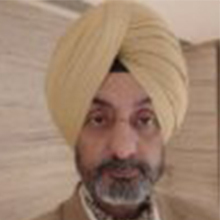 He also has experience working overseas in Muscat (Oman) & Riyadh (Saudi Arabia) and currently associated with Magicbricks Realty Services Ltd. (Times Group) at a capacity of National Head Commercial & Admin.